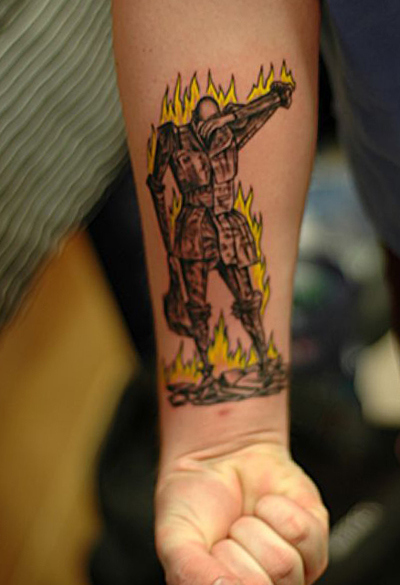 If you were to get a bookish tattoo what would you get? Those are so awesome! 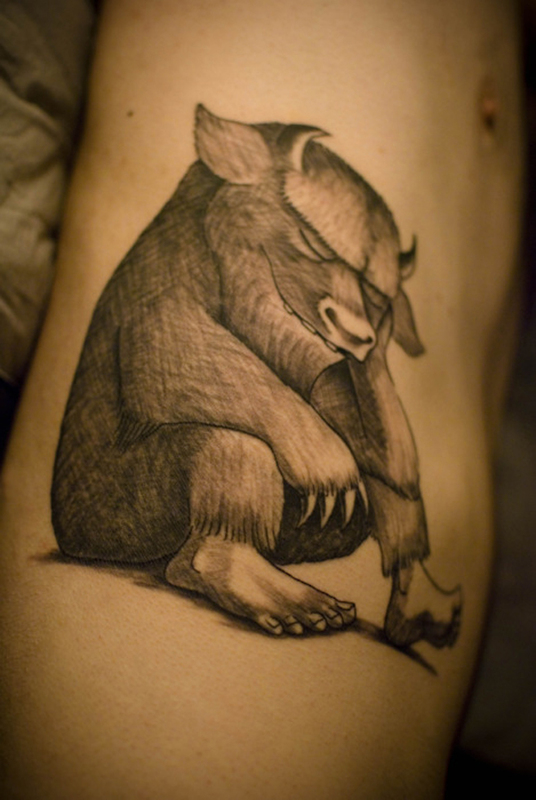 I love the Where The Wild Things Are tattoo. Great isn't it? 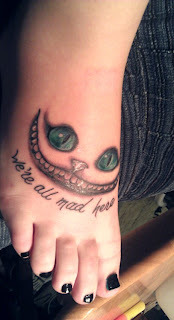 I've been considering getting an Alice in Wonderland tattoo forever. Probably something from Dr. Sueuss - maybe the Lorax; I think that would be a cool tattoo. Did you know that Whoppee Goldberg has a tattoo of Woodstock, from the Peanuts cartoon series, on her chest? Oooh, there's almost no end of Dr. Seuss ideas I bet. Lots of inspiration there. I think I was sent a tattoo by The Girl with the Dragon Tattoo but was too chicken to put it on! If you ever change your mind and get that ink done I'd love to see it! Maybe one of the Pooh characters, like Eeyore.